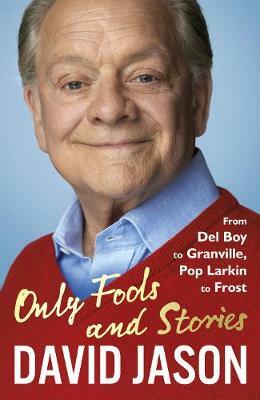 From Del Boy to Granville, Pop Larkin to Frost, David Jason takes us behind the scenes and under the skins of some of the nations best loved characters. In the process he reflects on how those characters changed his life too. The result told with his characteristic charm and wit is both funny and poignant, honest and heart warming. Born the son of a Billingsgate market porter at the height of the Second World War, David Jason spent his early life dodging bombs and bullies, both with impish good timing. Giving up on an unloved career as an electrician, he turned his attention to acting and soon, through a natural talent for making people laugh, found himself working with the leading lights of British comedy in the 1960s and '70s. Among others, David worked alongside Eric Idle, Michael Palin, Bob Monkhouse and, of course, Ronnie Barker. Barker would become a mentor to David, leading to hugely successful stints in Porridge and Open All Hours. It wasn’t until 1981, kitted out with a sheepskin jacket, a flat cap, and a clapped-out Reliant Regal, that David found the part that would capture the nation’s hearts: the beloved Derek ‘Del Boy’ Trotter in Only Fools and Horses. Never a one-trick pony, he had an award-winning spell as TV’s favourite detective Jack Frost, took a country jaunt as Pop Larkin in the Darling Buds of May, and even voiced a crime-fighting cartoon rodent in the much-loved children’s show Danger Mouse. What an absolute gem of a book! After reading the first part of his autobiography I couldn't wait to get my hands on this one!